Sandals will absorb sweat odors, which will cause them to have an unpleasant smell. Materials that are synthetic do not breathe well, so they will trap the perspiration and odor inside the sandal. Instead of throwing the sandals away, you can remove the odor with items that you have around your home. Treating your sandals often will help ensure that the odors stay away and will keep them in useful condition. Remove odors from sandals with the aid of vinegar. Sprinkle baking soda inside and over the sandals. Allow the baking soda to sit on the sandals overnight. Shake the sandals over a garbage bag to remove the excess baking soda. 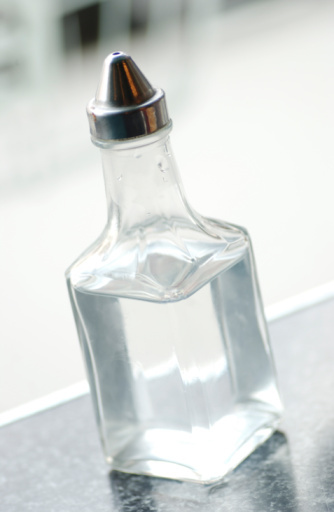 Combine an equal amount of hot water and distilled white vinegar in a bowl. Dampen a washcloth with the solution. Wipe the inside of the sandals with the solution. Wipe all the areas where perspiration may have collected. Set the sandals in a location to air dry. Repeat the process until you completely remove the odor.